Andrew’s is celebrating 45 years at the corner of Adams and Jefferson in the heart of downtown Tallahassee. Andrew Reiss opened Tallahassee’s first deli on November 1, 1972. Andrew’s has created many successful concepts over four decades, and has served Tallahassee residents and visitors plenty of good eats and fond memories. Andrew’s restaurants have won many state and local awards over the years, including the #1 Power Lunch in the State of Florida per the Miami Herald, Florida Trends’ prestigious Golden Spoon awards, and Tallahassee Magazine’s “Best of Tallahassee” for our Sunday Brunch. In fall 2017, we completed a renovation of our street-level dining area with improved accessibility to our spacious outdoor patios shaded by a pergola and a 50 year-old Magnolia on historic Adams Street. Our new menu features a commitment to locally-sourced produce, seafood and meats when possible, healthy and vegetarian choices, and environmentally conscious service standards. We offer Half Price Happy Hour 4-8 p.m. weekdays and all day weekends. For special events up to 120, The Private Rooms at Andrew’s is the perfect spot for receptions, business meetings and family gatherings. Andrew’s Catering is Tallahassee’s largest and best caterer with a full-time service and event planning staff, and service at local venues. We are the exclusive catering partner at FSU’s Alumni Center, and approved caterer at Goodwood Plantation, Mission San Luis, Turnbull Conference Center, and Pebble Hill Plantation. Andrew’s engages in and supports the local community through various charitable, business and downtown advocacy groups. We have employed thousands of Tallahassee college and graduate students over the years, and our core staff has been with us for decades. Andrew’s is privately owned and operated by Florida State University graduates, and remains committed to Andrew’s as a downtown legacy. 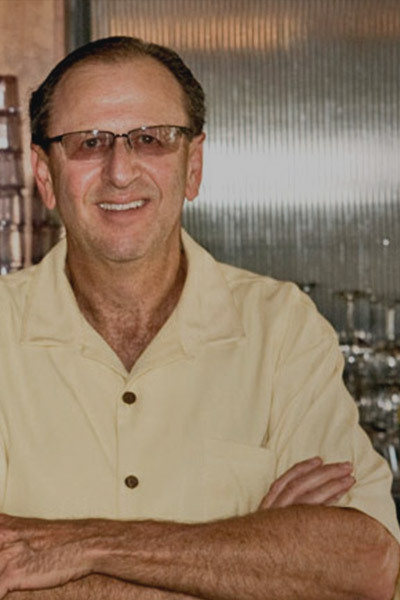 For decades, Andy Reiss has worked tirelessly to build a successful business in downtown Tallahassee while at the same time, advocating and gaining support to build a vibrant downtown environment for all businesses. Served as Chairman for the Downtown Improvement Authority and has continued to serve as a commissioner. Teamed up with Susan Stratton to found the Downtown Merchant and Business Association. Joined Ron Spencer and Liz Wilyoung in creating the Tallahassee Convention and Visitors Bureau; now called Visit Tallahassee. He went on to serve as President in the second and third year and he continued to serve on the Executive Board for many years and is still an active member of the organization. Currently serves as Chairman of the Tallahassee Downtown Redevelopment Commission. A faithful member of The Greater Tallahassee Chamber of Commerce since the 70’s and served on the Board of Directors and the Executive Board in the 80’s. Appointed by Governor Bob Martinez to the Hotel and Restaurant Advisory Council and has since been reappointed by every Governor to serve on the state board, acting as a liaison between DBPR and the hospitality industry. He went on to serve as Chairman on three separate occasions. Served on the Board of Directors of the Florida Restaurant and Lodging Association, one of Florida’s largest associations, since the 90’s and was Chairman in 2012, and again in 2014. He helped start the local chapter of FRLA in the 70’s.